Gurukul Preschool in Karnal is a well respected name in the field of Preschool Education in Karnal. We offer best of child care facilities and services in our Karnal Branch. The branch is headed by Mr. Aman. 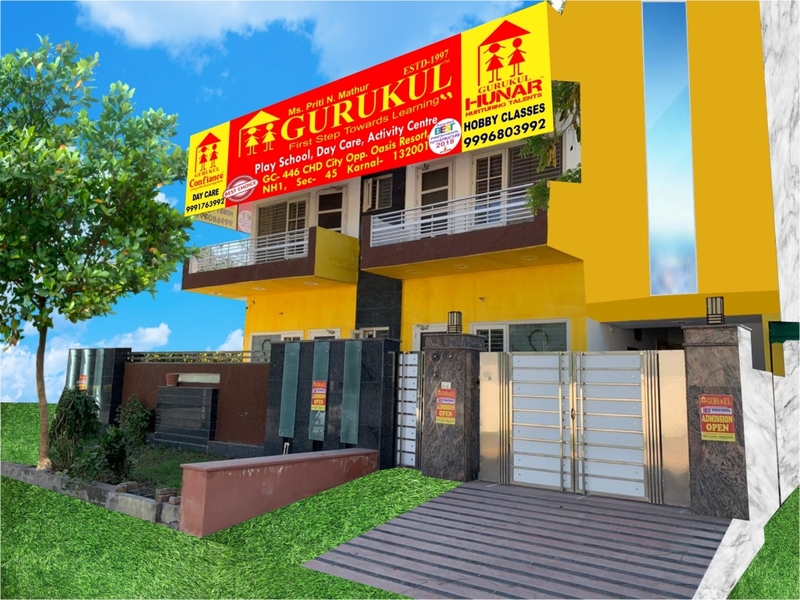 A well-known educational institution, Gurukul Preschool in Karnal (a unit of Gurukul Group of Schools, H.O. New Rohtak Road, Karol Bagh, New Delhi). The center follows a well-researched curriculum that is based on the play way method of learning. This branch offers education for children in the age group 1 ½ years onwards. There are a host of other supplementary activities that children can enroll in to enhance their skill set. In a populous suburb of Ghaziabad, this centre is situated in Sector-45, Karnal. Undoubtly, It is one of the best Preschool in Karnal. Gurukul Preschool, Karnal is known to be the Best Preschool in Karnal. It has an environment which is not only child-friendly but engaging for children to learn and have fun at the same time. It has spacious classrooms that are well-appointed with various amenities and facilities and also have large outdoor play area. This centre employs caring and involved certified teachers that play an instrumental role in the learning and development of the kids. Curriculum: Scribbling, Role Enacting, Playing with Blocks, Music and Dance, Playing with Sand, Story Telling, Alphabets and Math’s lessons, Clay work and Pottery, Games and Field Trips. It is designed to maximize participation for all which brings out new talents and much enthusiasm in groups. Extracurricular Activities at Preschool in Karnal: Games like Skating, Taekwondo, Drawing and Painting, Music and Dance, Splash Pool, Visits to departmental stores, fire station, museums, etc. 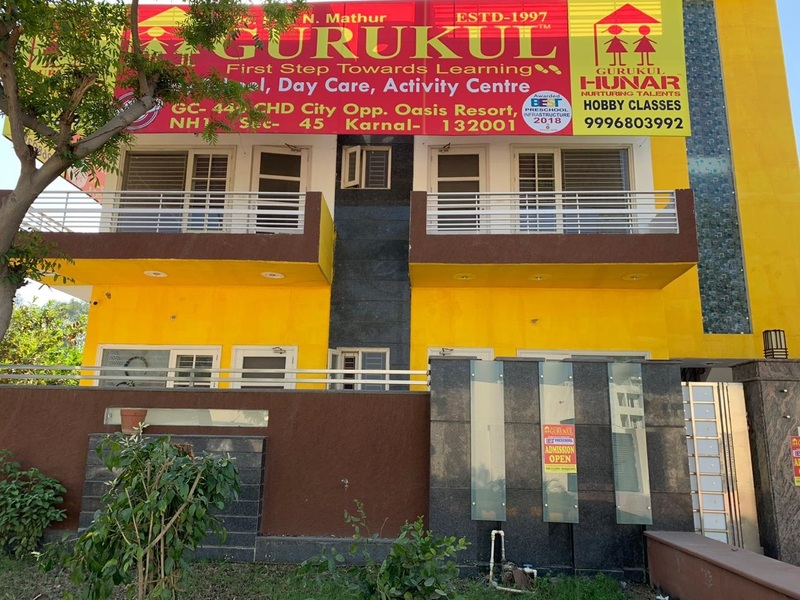 Beyond Education at Preschool in Karnal: Gurukul Preschool organizes Baby Shows, Puppet Shows, and Counseling Sessions on parenting with experts, Summer Camps, Diwali Fete, Sports Day, Graduation Day function, Painting Exhibition and Annual Day. Superior Facilities at Preschool in Karnal: Home Cooked Food, Trained and Qualified Lady teachers, Well Designed Classrooms and Large Outdoor Play Areas, Splash Pool, Sand Pit , Multi media Learning, R. O Water Facility, Fully Air Conditioned, Clean & Safe Environment, Transport Facility, CCTV Surveillance & Much More..
Best in Class Ratios: The Teacher Child ratio for Play Groups is 1:10 and 1:12 for Nursery, and for Pre Primary, ensuring all kids get proper attention and care. Transport: Efficient transportation services are available for all localities within 3-4 Kms radius. To avail services, Please get in touch with the admission in charge of Gurukul Preschool in Karnal.